amb roba de l’Anna Maria Horner (que feia temps que la tenia). Sabia que si no m’afanyava no en tindria prou per fer-li aquest vestit. S’esta fent gran massa rapid! 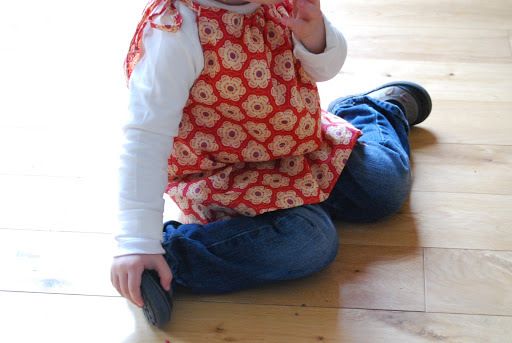 Last summer I bought 2 books for making children’s clothes and I finally made the dress I wanted for Hana. 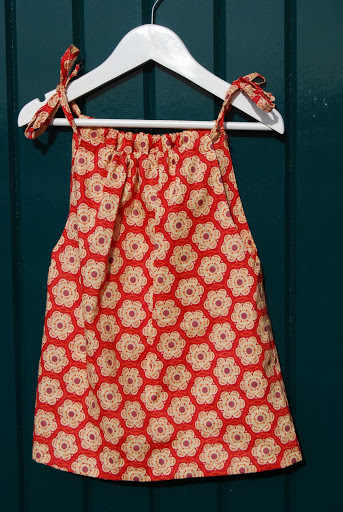 I used fabric from Anna Maria Horner that I was stashing for a while. I knew if I didn’t hurry up I wouldn’t have enough fabric, since she’s growing so quickly! Aquest es el llibre que vaig comprar a Amazon i el vestit es el mateix de la portada. This is the book that I bought from Amazon and the dress is the same on the cover. maybe spring will come quicker! potser aixi la primavera vindra mes de pressa! No oblideu participar en el meu sorteig de dos llibres! Don’t forget to enter my giveaway, there’s 2 books to be won! Last month it was a year since I started this blog and I’m lucky to have 61 followers that are interested in what I do. That’s why I’m hosting a giveaway, to celebrate that thanks to the nice comments I’m still here! Thank you everyone! 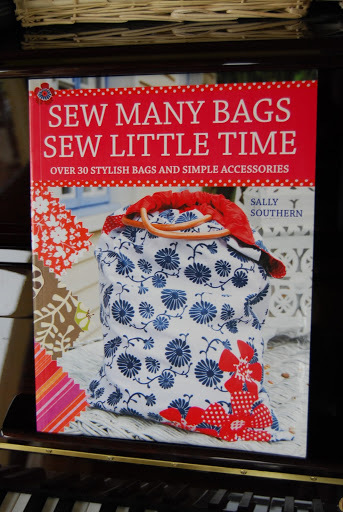 I went to my favourite bookshop (I should blog about them some day) and I found a nice book to show you how to make bags. I bought two copies, so here’s one for one lucky winner. The second book is one I already have and I think you’ll enjoy if you like cooking. It’s a compilation of homemade recipes by the farmers’ market of a village next to mine. 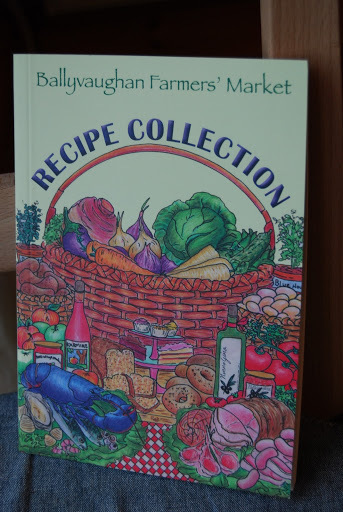 I love farmers’ markets and this is a really nice recipe book where you can find good Irish dishes and homemade remedies. El segon llibre es un que tambe el tinc i que m’agrada molt. Es un llibre de receptes recopilades per la cooperativa del mercat de grangers del poble del costat d’on visc… Hi trobareu receptes irlandeses i remeis casolans. So there will be two winners, the first name selected will get to choose which book she/he’d like. Leave a comment in this post to enter, and I’ll draw the winners on Paddy’s day, that’s the 17th of March, at 12pm (Irish time) (which means it’ll be most likely later than that!). Winners will be announced on the following day and will have up to 2 days to claim their prize, otherwise I’ll draw another name. Good luck! Hi haura dos guanyadors, el primer nom sel.leccionat podra escollir el llibre que prefereixi. Deixeu un missatge en aquest post per participar i el dia de Sant Patrici fare el sorteig, el dia 17 de Març, a les 12 del migdia (hora irlandesa) (que vol dir amb retard segurament…). Els guanyadors tindran dos dies per reclamar el premi, si no tornare a sel.lecionar un altre nom. This is my pick for this week’s theme. 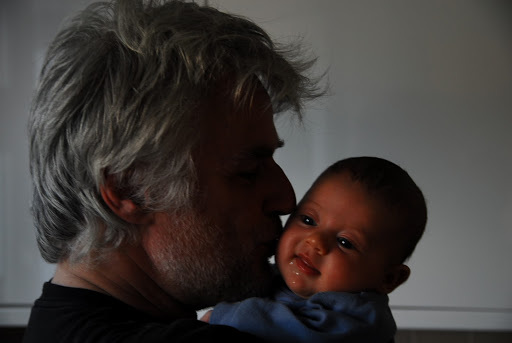 I love this photo, daddy and daughter. Her face and his silhouette… they’re great. She was 2 months old then, she’s nearly 2 now! Would you like to see the other participant’s entries? click here. Aquesta es la foto que he escollit pel tema d’aquesta setmana. Pare i filla. M’encanta la cara d’ella i el perfil d’ell. Aleshores tenia 2 mesos, ara ja te quasi 2 anys! Voleu veure les fotos d’altres participants? cliqueu aqui. 1. Poseu tots els ingredients a la trituradora. Si veieu que us queda molt espes afegiu-hi una mica mes de creme fraiche. 2. Aboqueu la barreja en potets de ceramica deixant 1cm (pujara una mica). Col.loqueu els potets en una safata fonda, amb aigua, per coure’ls al forn al Bany Maria. 180C durant uns 20 minuts. Deixeu-los refredar i poseu-los a la nevera durant una hora abans de servir. Es poden congelar perfectament. 1. Blend all the ingredients. If the mix is too thick, add a bit more of creme fraiche. 2. Pour the mix into ramequins leaving 1/2″ on top (they’ll raise a bit). 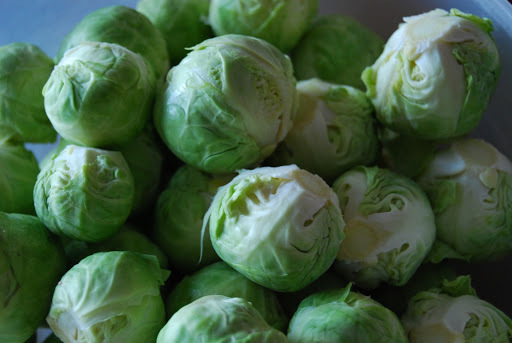 Place the ramequins on a tray filled with water to bake in the oven at Bain Marie for 20 minutes at 180C. 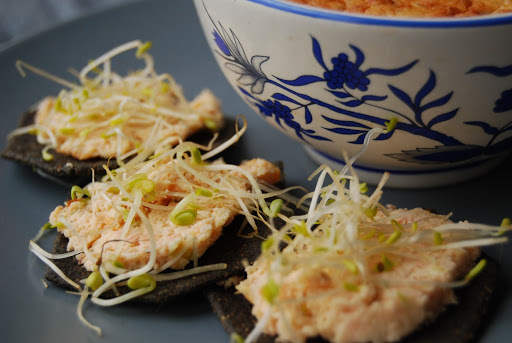 Let them cool and put then in the fridge for at least 1 hour before serving. They freeze well too. Ja arriba la tercera temporada de The Great Big Stitched Postcard Swap que organitza la Beth. Podeu donar un cop d’ull a totes les postals fetes a ma i amb una gran varietat de tecniques, a part d’algun punt cosit, al group de flickr. El tema de la primera celebracio va ser “Temps” i aleshores encara no sabia que aixo existia! Arrel d’un blog que segueixo vaig descobrir que se celebrava la segona temporada amb el tema “Llar” i vaig poder participar. Vaig rebre una postal cosida i estampada a ma de l’Stella, dels EEUU. El tema d’aquesta nova temporada es “Amor” i si voleu, vosaltres tambe podeu participar. Heu de fer una postal a ma, amb la tecnica que mes us agradi, afegint algun puntet cosit, ni que sigui un boto, interpretant el tema de l ‘amor. Envieu un email a la Beth dient que voleu participar i donant-li la vostra adrec,a. Mes tard ella us enviara el nom i l’adrec,a de la persona a qui li heu d’enviar la postal que heu fet. No oblideu de fer-li un foto primer, per si es perd pel cami… i un cop la persona a qui li heu enviat l’ha rebut, ja podeu ensenyar la vostra postal al vostre blog o al grup de flickr. The third Great Big Stitched Postcard Swap is on again! 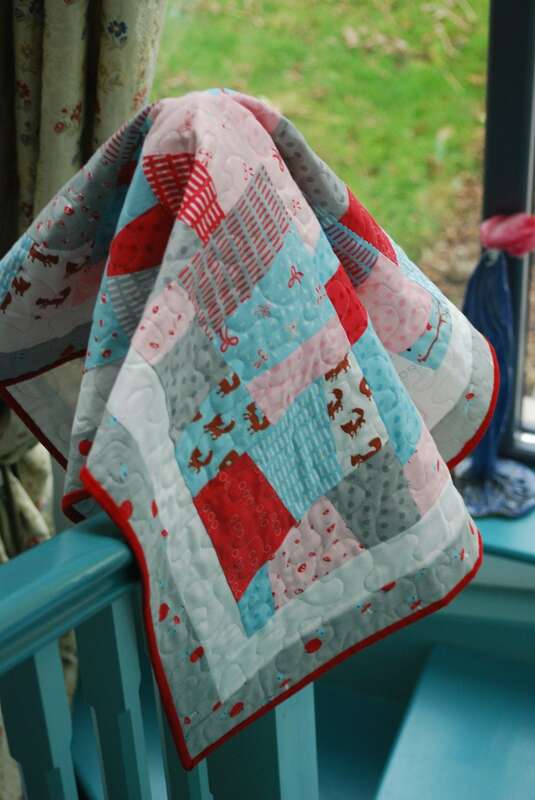 pop over to Beth’s blog and read all about it to take part on it. The first one was about “TIME”, the second one was about “HOME”, now it is about “LOVE”. Have a look at all the lovely postcards that were made before on flickr. I received a lovely card from Stella in the USA and mine flew over to that same country too. I wonder where my new card is going to travel this time and from where I will receive mine. Send an email to Beth, telling her you want to participate and give her your address. She’ll send you the details of the person you’ll send your card to. Don’t forget to take a photo of your card before you send it, and once the person receives it, you can show it on your blog and on the fickr group. Here’s a photo I’d like to share with you. It’s part of the Foto Finish theme from Cat Patches. Hi ha una photo que us vull ensenyar. Es part de Foto Finish a Cat Patches. Cada setmana proposa un tema diferent. M’agrada fer fotos, soc amateur, i trobo que es una bona manera de practicar si participo en propostes com aquesta. 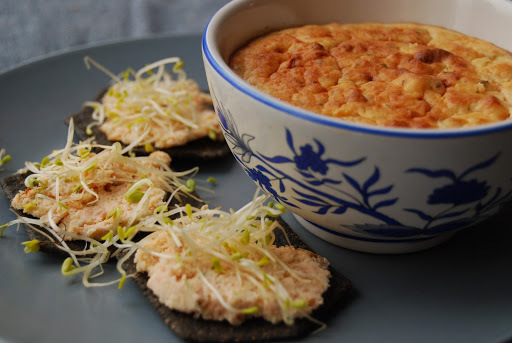 Aixi que aqui teniu la foto: les cols de Brusel.les que vam menjar per Nadal! Aqui teniu una tutorial d’una activitat per fer amb els vostres petits. Tenia molt d’exit amb els meus alumnes quan ensenyava en una aula Montessori. 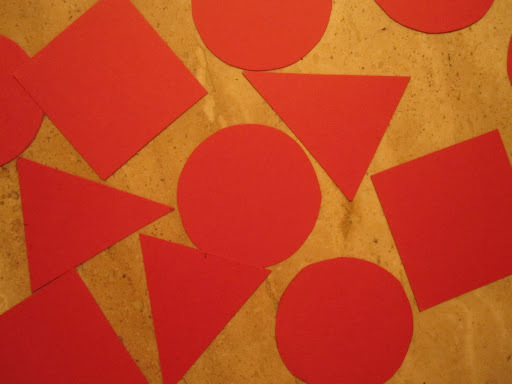 No forma part del material de Montessori pero segueix la mateixa linea d’aillar el concepte que es vol ensenyar, que en aquest cas son tres figures geometriques: cercle, triangle i quadrat. Es important utilitzar nomes un color per aillar les figures. Si cada figura tingues un color diferent, no sabriem si estan classificant per colors o per figures. Si volguessiu ensenyar els colors, haurieu d’utilitzar nomes una figura i els diferents colors que volgueu ensenyar. 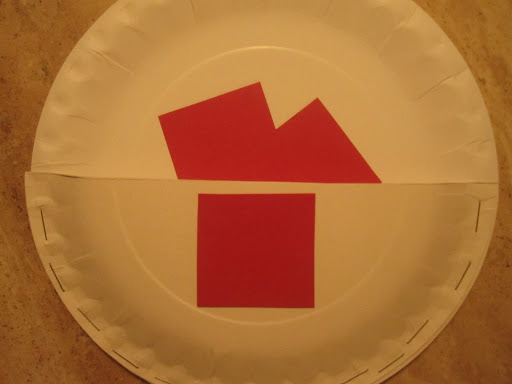 Here’s a tutorial for an activity to do with the little ones. It was very popular with my pupils in a Montessori classroom where I used to teach. 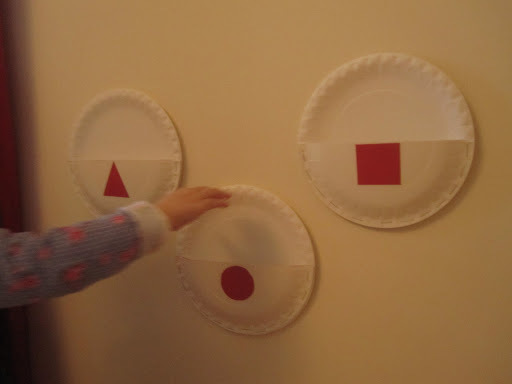 It is not part of the Montessori material, but it follows the same method of isolating the concept you want to teach, which in this case are three geometrical shapes: circle, triangle and square. It is important to use the same colour to isolate the shape. If you used a colour for each shape, you wouldn’t know if the child is sorting it by colour or by shape. If you wanted to teach colours, you would use one shape only and the different colours you want to teach. Talleu dos plats per la meitat i grapeu una de les meitat sobre un plat sencer amb les cares oposades per formar una mena de butxaca. Feu 3 butxaques, una per cada figura. 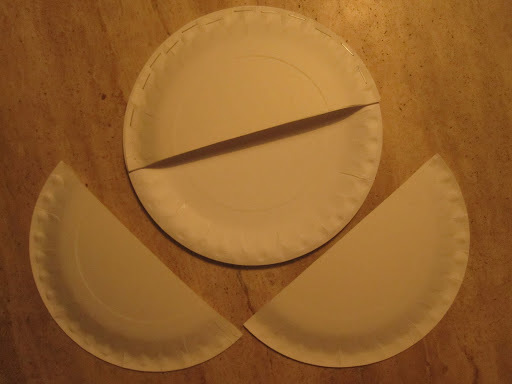 Cut 3 plates in half. Staple one of the halves onto a whole plate facing opposite to each other to make a pocket. Amb la cartulina, talleu quadrats, triangles i cercles que hi capiguen dins la butxaca. Enganxeu una figura a cada butxaca. 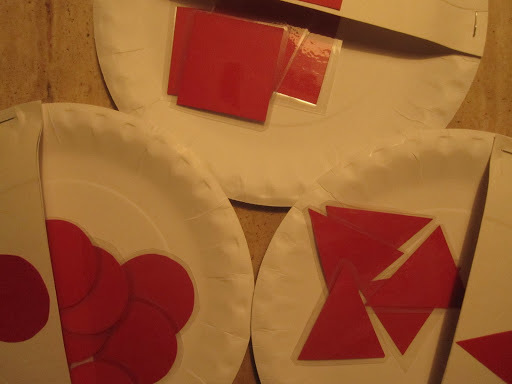 Cut triangles, squares and circles out of the card in a size so they fit into the pocket. Stick one of each shape onto each pocket. Plastifiqueu la resta de les figures de cartulina. 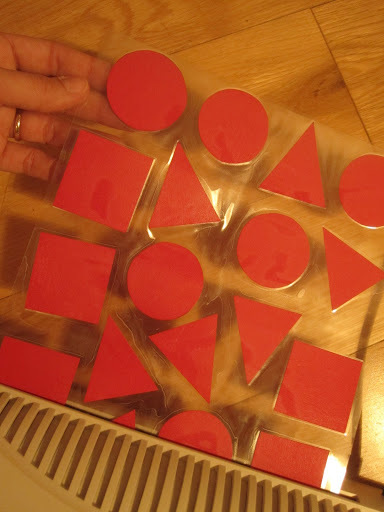 Laminate the rest of the shapes. Enganxeu els plats a qualsevol espai de paret que tingueu amb bluetack. ja estan preparats per omplir-los amb les seves figures. Stick the plates onto any wall surface with blue tack. They’re ready to be filled up with their shapes now. – podeu anar afegint figures a mida que les van aprenent. (diferents fotos de gats, gossos, ocells, etc. per animals), roba, aliments, joguines… la llista es infinita! 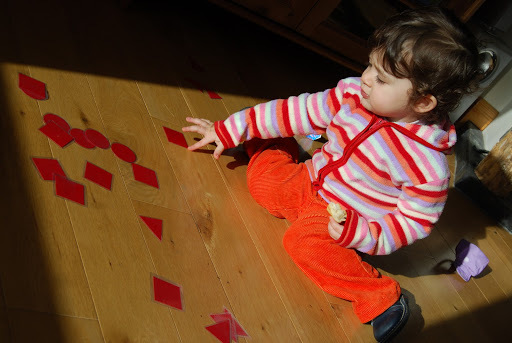 – you could add more shapes as they learn. – you could use this method to teach colours, patterns (with wrapping paper), numbers, letters, words, vocabulary with pictures, e.g. different pictures or even photos of cats, dogs, birds, etc. for animals, or food, clothes, toys… the list is endless!